"Take a tour around a theatre that has been at the heart of North East Culture for over a century, and meet some of the characters and players that brought this venue to life over the decades. 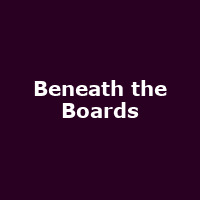 Who knows who may be lurking beneath the boards? The magnificent 19th century auditorium, and original Victorian under-stage machinery (unique in Britain), is brought to life by actors from Newcastle College Performance Academy in a script by Benjamin Schwarz and Dale Pearson from Newcastle University, directed by Christopher Campbell and Hannah McCormick."